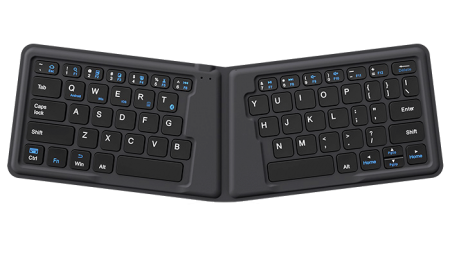 The Bluetooth Travel Keyboard layout has been designed in a splayed V shape to deliver an ergonomic layout combined with a foldable and compact design. The Bluetooth Travel Keyboard layout has been designed in a splayed V shape to deliver an ergonomic layout combined with a foldable and compact design, making it a convenient accessory for travel. The Bluetooth Travel Keyboard is compatible with iOS, Android and Windows devices. 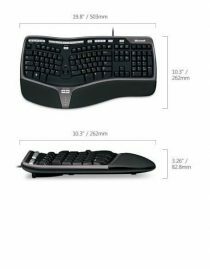 Slim and long lasting, when folded closed, the keyboard height is only 13mm, opened the keyboard has a low profile of 6mm. 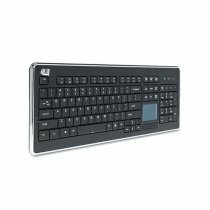 The keyboard has a rechargeable lithium-ion battery that provides 40 hours of typing time on a single charge. It recharges with an included micro USB cable. The keyboard wirelessly connects to devices via Bluetooth, with a range of up to 10 meters. The splayed keyboard layout and low profile in conjunction with the block type scissor switch keys make typing on this compact keyboard very comfortable. The Bluetooth Travel Keyboard comes with a plastic outer casing that doubles as a smart phone or tablet stand.